currently replacing the old seats with ones like they have at south gate with movable armrests. according too thier website, this theatre now features digital projection on all 5 screen. Opened in 1940 as a single-screen, Art Moderne style house seating over 1600, the Allen Park was designed by the firm of Bennett & Straight. 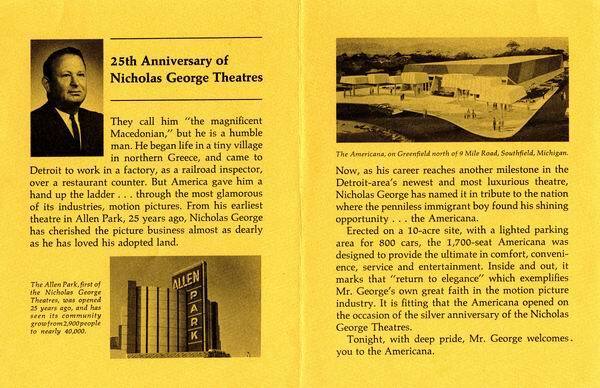 Later, the Allen Park was run by Nicholas George as the first of many theaters under his operation during the 60s and 70s, such as the Mai Kai in Livonia, the Americana in Southfield and (briefly) the Michigan, in downtown Detroit. 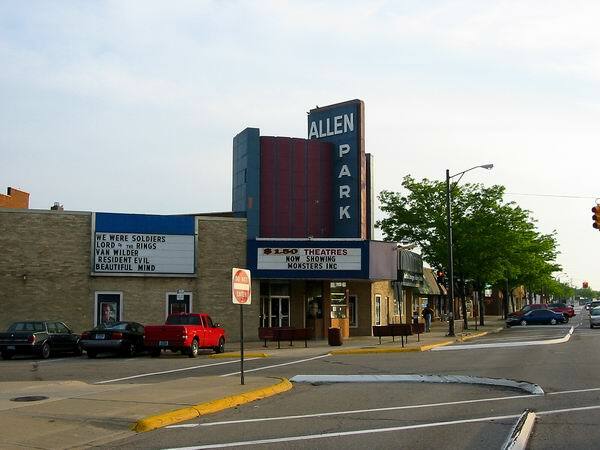 The Allen Park was twinned as the Allen Park I & II in 1970. In 1986, George sold the twin to the AMC chain, who would later carve the theater further, into five screens. Today operated by the MJR chain, as the Allen Park Cinemas, the theater now is a bargain house screening second-run fare. June 1960 - Alexander Sandy Thomas, supervisor of the Nick George Circuit, reports the reseating and redecorating of the Allen Park Theatre.